Total stocks of most major field crops in Canada were down from the same date in 2017, according to Statistics Canada as of Dec. 31, 2018. Total stocks for wheat, barley, soybeans, corn for grain, lentils, and dry peas were lower than the previous year, while stocks for canola increased. At the national level, total wheat stocks on December 31, 2018 were down 0.2 per cent from the same period in 2017, to 23.2 million tonnes. On-farm stocks fell from 19.5 million tonnes in 2017 to 19.1 million tonnes in 2018. The decrease in on-farm stocks offset the increase in commercial stocks, which rose 9.2 per cent to 4.1 million tonnes in 2018. While wheat production rose 6.0 per cent at the national level in 2018, higher exports drove wheat stocks lower. Wheat exports increased 13.5 per cent from the same date one year earlier to 10.0 million tonnes on December 31, the highest export volume for the same period since 2014. Canola stocks rose to a record-high 14.6 million tonnes in 2018, a 4.9 per cent increase from the previous year. On-farm stocks rose 6.3 per cent over 2017 to 13.4 million tonnes. Commercial stocks decreased to 1.2 million tonnes in 2018, from 1.3 million tonnes in 2017. At the national level, corn for grain stocks fell 7.4 per cent from December 31, 2017 to 11.5 million tonnes. On-farm stocks decreased from 9.5 million tonnes in 2017 to 8.5 million tonnes in 2018. Conversely, commercial stocks increased 0.6 per cent over 2017 to 3.0 million tonnes. 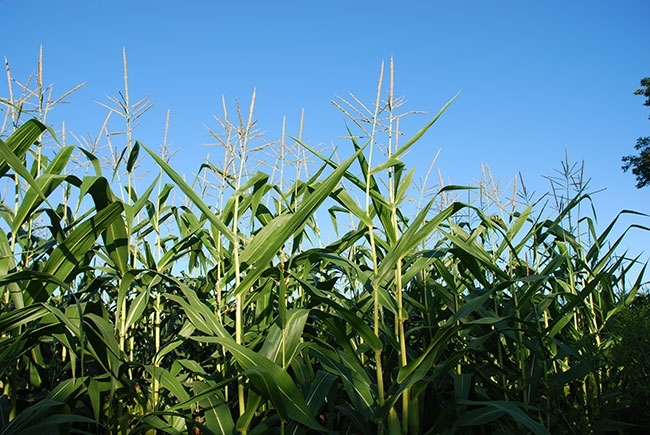 Statistics Canada did not provide reasons for the decline, but high deoxynivalenol (DON) levels – some reported cases of 30 parts per million – in Ontario grain corn resulted in some producers leaving corn out in the field or destroying it. Ontario is currently the largest producing province for grain corn, with 2.2 million acres planted in 2018. In comparison, Quebec seeded 953,000 acres of grain corn in 2018 and Manitoba seeded 428,000 acres. Total stocks of soybeans in Canada fell from 4.4 million tonnes on December 31, 2017 to 4.0 million tonnes in 2018. On-farm stocks fell 12.9 per cent from the same date in 2017 to 2.6 million tonnes. Meanwhile, commercial stocks rose 0.8 per cent over the same period to 1.4 million tonnes. Overall stocks of barley decreased to 4.9 million tonnes in 2018, down 1.1 million tonnes from the previous year. The decline was primarily fuelled by on-farm stocks, which fell 19.3 per cent compared with 2017 to 4.6 million tonnes. Commercial stocks rose to 296 000 tonnes (+5.7 per cent) compared with one year earlier. As of December 31, 2018, total stocks of oats were down 19.7 per cent year over year to 2.3 million tonnes. On-farm stocks fell 22.1 per cent to 2.1 million tonnes, while commercial stocks rose 15.8 per cent to 220 000 tonnes. Nationally, stocks of dry field peas declined 11.4 per cent from the same date in 2017 to 2.5 million tonnes. On-farm stocks fell 15.8 per cent in 2018 to 2.1 million tonnes, offsetting a 29.9 per cent increase in commercial stocks, which totalled 356 000 tonnes. Similarly, total stocks of lentils were lower in 2018, decreasing 0.8 per cent to 2.1 million tonnes. On-farm stocks fell 4.9 per cent to 1.9 million tonnes, while commercial stocks rose 69.8 per cent to 197 000 tonnes. Lower production of lentils and dry peas, possibly the result of import tariffs introduced by India in the fall of 2017, resulted in lower stocks in 2018. Despite a slight increase in year-over-year exports in 2018, exports of dry peas were 28.4 per cent lower than in December 2016 before the introduction of import tariffs, while lentils were down 48.9 per cent.